A new Yoga Meditation CD has been released that will help those participating in Yoga teacher training programs get deeper into the experience of chanting and realizing Om. Yoga classes often start or end with Chanting Om and this work is here to support those yoga teachers who would like to get deeper into the practice both for their own spiritual journey and to better serve those who have come to them for yoga training. A new Yoga meditation CD has been released that will help those who are participating in Yoga teacher training programs get deeper into the experience of chanting and realizing Om. 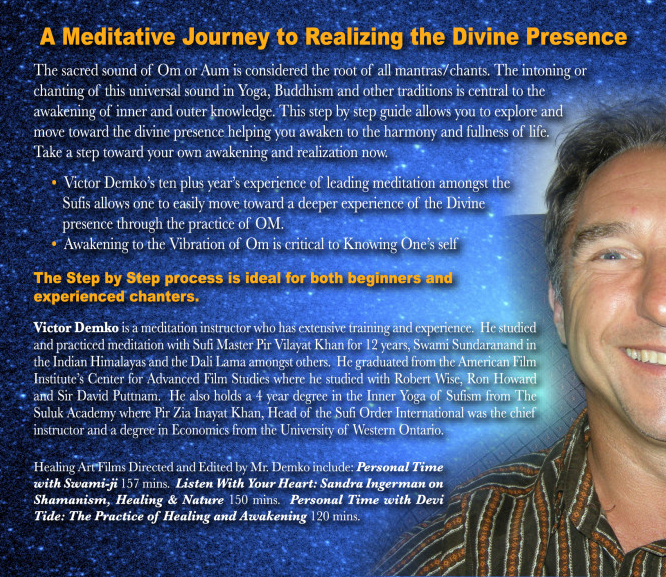 Meditation instructor Victor Demko who is also known for directing and editing the Yoga film "Personal Time with Swami-ji" is the guide of the new meditation CD Om Unplugged: A Step by Step Guided Meditation for Awakening & Self Realization which will assist yoga teachers and students of Yoga with the practice of chanting Om. "Today many yoga classes start or end with Om and this work is here to support those yoga teachers who would like to get deeper into the practice both for their own spiritual journey and to better serve those who have come to them for yoga training" says Demko. 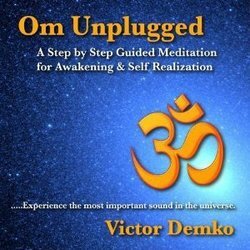 At 63 minutes Om Unplugged: A Step by Step Guided Meditation for Awakening & Self Realization relies on Demko's 10 years experience of leading meditation and depth of understanding of the practice, not music, to guide and bring meditators to a place where they have the opportunity to experience Om or Aum which is said to be the most important sound in the Universe. Demko has been an initiate in the Spiritual Traditions for 19 years and led meditation for 10 years in The Sufi Order International. He studied with Sufi meditation Master Pir Vilayat Inayat Khan for 12 years, Swami Sundaranand in Gangotri at the source of the Sacred Ganges River and His Holiness the Dali Lama amongst others. "Yoga today is very popular and most presenting the material while often well trained in the body poses or Asanas are seeking to enhance their own depth of spiritual practice from the authentic spiritual traditions that will help convey the subtle vibrations of practices like Om to those who come to them for instruction. It was for this reason that this one was moved to offer this work on chanting Om which offers that type of support." notes Demko. 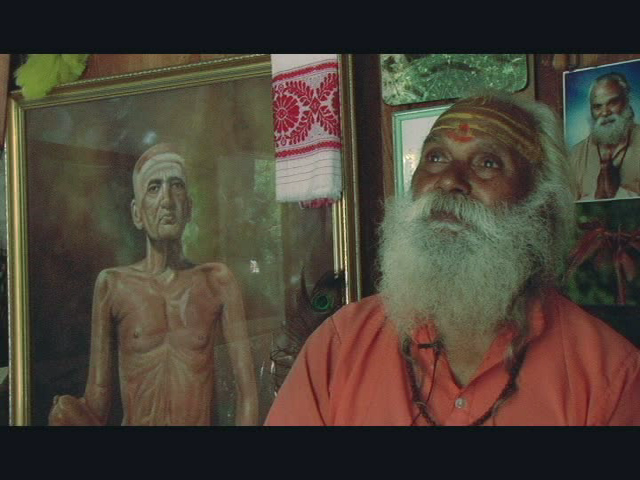 Part of the instruction in this guided meditation CD on chanting Om involves the Chakras; Demko learnt the specific sound placements in the charkas of the component sounds of Om presented in this guided meditation CD from Swami Sundaranand, now 84, who is considered the last of the great Himalayan Yogis. Swami Sundaranand was the only long term live in Student of Swami Tapovan Maharaj (1889-1957) in Gangotri at the source of the sacred Ganges River. Prior to the acquisition of this practice of the component sound placements of Om in the Chakras in 2005, Demko had already been a long time Chakra practice student and instructor. "Working with the Chakras for a long time and seeing the benefits of a richer life by being able to access the charka centers is well worth perusing." "The practice of chanting Om for awakening and self realization has been part of many of the traditional spiritual paths, not just in Yoga. Buddhism is where Om is often the first word of many chants like Om Mane Pudme Om which is a favorite of the Dali Lama" notes Demko.